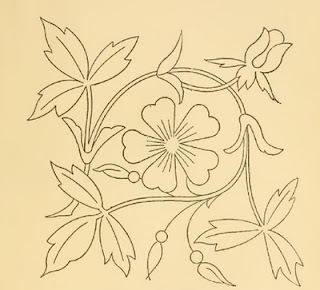 Here's a free pattern from an 1879 book, Art-needlework for decorative embroidery. Click on the picture to view and save. This one would look good on sofa backs and cushion covers. It could be either outlined or filled in. How would it look with a long and short filling? or even blanket stitch shaded filling? Lots of possibilities,I must say. Thank you, Deepa, this is a lovely pattern. 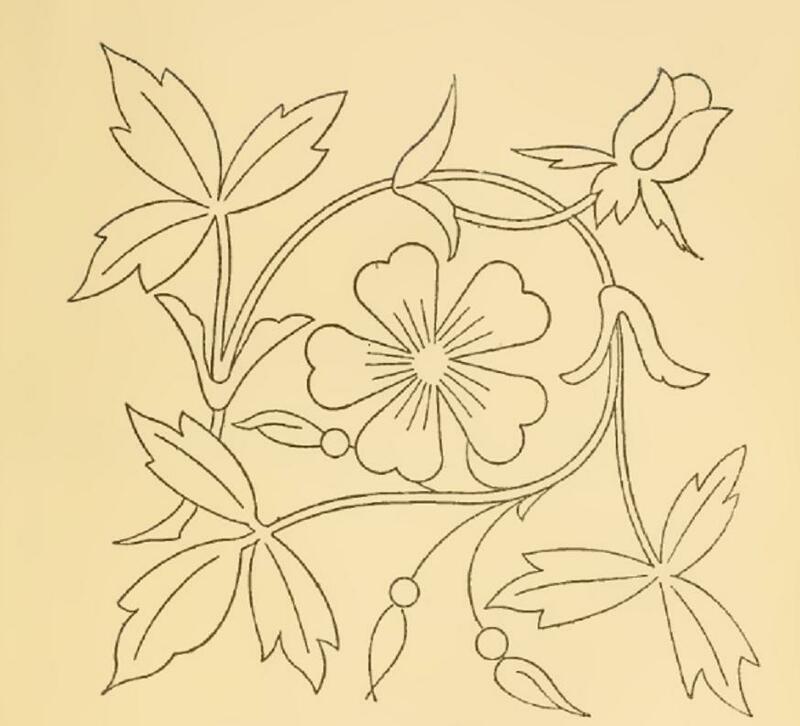 I will keep it into my files and hopefully embroider it one day. This is a nice design, thank you for sharing this with us. I have just discovered your comment on my peacocks blog (I don't visit that blog very often! ), so I have come over to see your Brazilian embroidered peacock. It is very beautiful, and so exquisitely stitched. I have enjoyed reading your blog, and will be back to read more soon! thank you dear for this freebie .... I´ll put together in my folder of ideas.